A Spare the Air Alert had been issued for Tuesday in the Bay Area because of an excessive amount of smog expected in the region, air quality officials said. Bob Redell reports. A Spare the Air Alert has been issued for Tuesday in the Bay Area because of an excessive amount of smog expected in the region, air quality officials said. The Bay Area Air Quality Management District issued the alert, the sixth for smog in 2017, because of a forecast of light winds and triple-digit inland temperatures. A heat advisory is in effect until 9 p.m. Wednesday for higher elevations such as the North Bay mountains, mainly around Lake Berryessa, the East Bay hills and Santa Cruz Mountains. In areas well inland and high elevations, temperatures are expected to reach 100 to 105 degrees with some areas approaching 110 degrees. Air district executive officer Jack Broadbent said in a statement that more alerts are possible this week "due to tailpipe exhaust from the 5 million cars on Bay Area roads each day combined with hot temperatures." 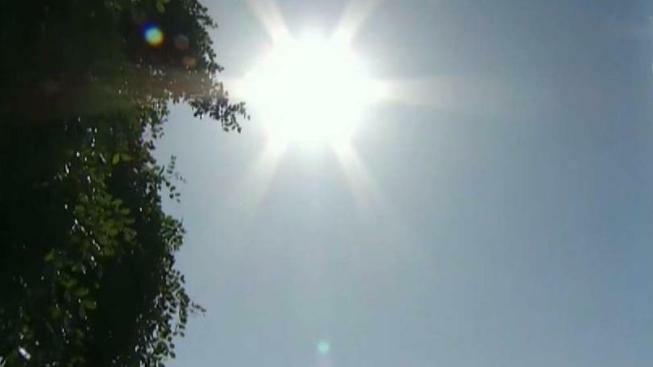 During Spare the Air days, air quality officials advise people to limit outdoor activities during the hottest part of the day and to take public transit or carpool instead of driving alone. If possible, people are also asked to work from home. Aside from trying to keep the air as clean as possible, officials are also asking people to reduce their energy usage. Pacific Gas and Electric Company recommends that residents wash clothes in cold water, unplug electronics that are not in use, avoid using ovens, dim the brightness on televisions and use compact fluorescent lamp (CFL) light bulbs in order to save energy. Temperatures near the coast will be more seasonal and above-average elsewhere. While it may be cooler at the coast, visitors should check for any beach hazards that could make visiting beaches risky.